My friend Veronica started writing her first non-fiction book around the time I started Glimpse. For various reasons, specific to non-fiction and the area she was writing in, it made a lot of sense for her to self-publish. Now, there’s self-publishing and there’s self-publishing. The process Veronica took her book through before launching it (yesterday! Happy book birthday, Veronica!) was just as rigorous as the process a traditionally published book goes through, and the result really shows. I was so impressed with everything she’s done, I decided to ask her a few questions. Whether you write fiction or non-fiction, if you’ve ever been curious about self-publishing, her answers are well worth a read. 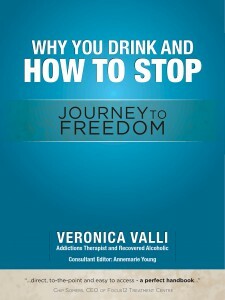 My book is called Why you Drink and how to Stop: Journey to Freedom. It’s a self-help book on alcoholism that is aimed at people who think they have a drinking problem as well as their loved ones. When I worked as a therapist one of the most frustrating things for people in a relationship with an alcoholic is trying to understand why someone drinks the way they do. Hopefully this book answers those questions. It also lays out what you need to do in order to stop drinking and stay stopped. What led you to self-publish? I have a fantastic agent and editor who really championed the book and took it to several agencies. One was very interested and asked me to make edits. They then came back to us and said that they weren’t publishing any books in that genre that year, and because the industry was going through difficulties they are only publishing books by celebrities. Even though the model Danielle Lloyd, a former client of mine, wrote the foreword, I wasn’t a well-known name. What was the process of preparing your book for publication? Long, arduous but worth it. Now that I have published one book it will be much easier the next time. I’ve learnt tons along the way. Luckily for me I’ve worked with a fantastic editor who pushed me and pushed me to improve the book. I’m so glad she did because it’s a much better book because of her. I did tons of revisions and edits. I think the art of writing is really in the revision. We then had to get the book formatted for print and e publishing and the cover designed. I’ve really enjoyed the process. Are there any book-promotion strategies you’ve found particularly useful? Twitter. I’ve met so many great people on Twitter who have done interviews for my blog. There are so many things I wouldn’t have learnt about if I hadn’t have found them on Twitter. It’s about interacting and building relationships, not blasting people with ads. I think there is a niche for everyone now on Social Media, you just have to find it. Having a blog is important too, and then you need to blog regularly. I think having a blog really helps with your writing. I look at some of my earlier entries and cringe, but I can also look at some of the recent ones and feel really proud. Do you have any advice for writers who might be considering self-publishing? Do it. It’s a really exciting time, I think. One of my closest friends is a really talented singer/songwriter and she has been messed about by record companies and managers for years. Then she decided to produce her own album and never looked back. Social media has changed everything. The first and most important thing is good content. Once you have that, start a blog and start using social media. Publishers used to be the gatekeepers to books, now if you have a good story and learn some basic marketing skills you can sell your own book. The margins are much, much better of course, as you don’t have to give any of your royalties or rights away. My book is being translated into Russian as well, so that is a whole new market to explore. There will always be a place for traditional publishers but as the Indie market grows I think that ‘gate keeping’ will naturally develop so buyers can see they’re buying a quality book even if it’s not from a tradtional publisher. The most obvious way to tell if someone has invested in their book is the cover. It is certainly true if the cover is poor the content will be too! Veronica has worked as a therapist and life coach specialising in addiction for over ten years; her experience includes working with young people in the criminal justice system, primary care adult treatment, outreach services and private practice. Veronica has also worked in local government, delivering local drug and alcohol strategies. As a recovered alcoholic and drug addict, she has personal experience of what it takes to recover from an addiction. Veronica struggled with alcoholism through most of her twenties. As a binge drinker, she was aware for some time that something was wrong but was unable to define what it was; a chance meeting led to her finally getting help and turning her life around. At the height of her addiction, Veronica was unable to go to work without the aid of a drink; her life and confidence were in tatters. She got sober in 2000 at the age of twenty-seven. She now uses this experience to help and inspire others. She fully believes that all alcoholics and addicts can recover if they have access to the right kind of help, and that they can then go on to live life to the full. She is committed to educating and informing the public on problem drinking and addiction and has appeared regularly on BBC Radio Cambridgeshire as a specialist guest. She has also appeared on the Lorraine Kelly show on ITV, and an ITV programme entitled The Truth About Binge Drinking; she has also appeared in national magazines and publications, discussing recovery from alcoholism. 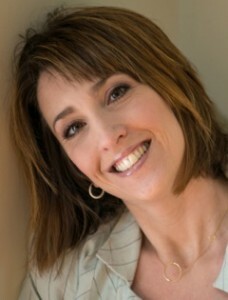 Veronica is married with a young son and is currently working in private practice.